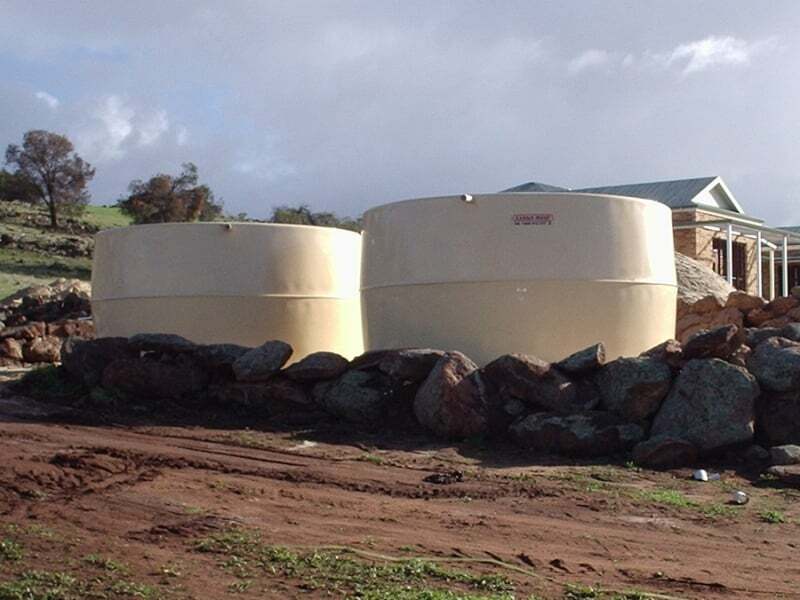 Tanks West has a proud history of providing West Australians with a permanent alternative for all their water storage needs. 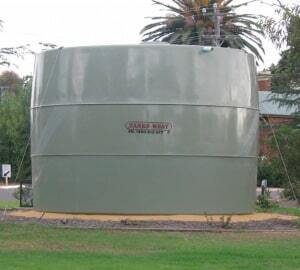 Using the most up-to-date and innovative technology available, Tanks West manufacture a range of Fibreglass FRP (Fibre Reinforced Plastic) water tanks for domestic and agricultural purposes. 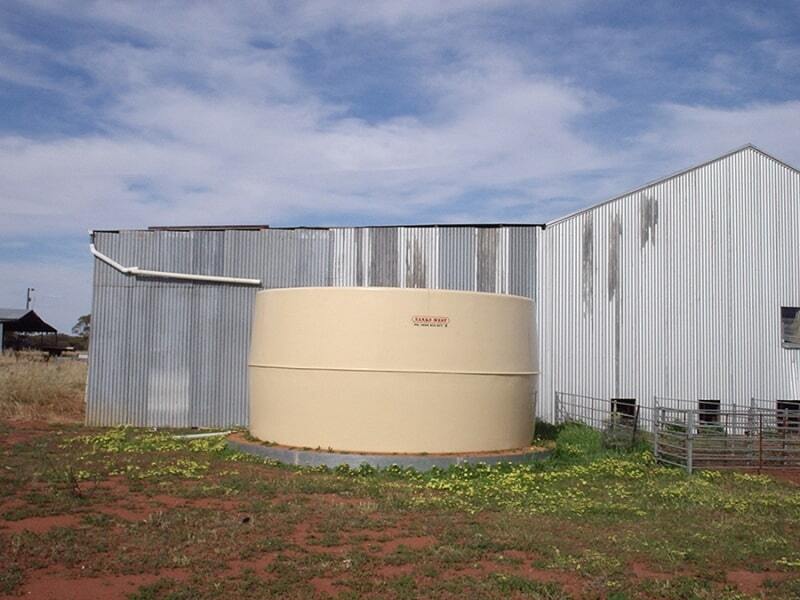 All Tanks West water storage tanks are compliant with the Australian Standard AS4020 for potable (drinking) water – your assurance that the rainwater you harvest is stored in a clean, hygienic and taint free environment. Price includes: Brass Outlet with Gate Valve up to 50mm, Leaf Strainer and Overflow. All fittings are installed by our trained drivers on delivery. Note: Screw top lid and additional fittings available on request at an added cost (it is important that these are requested at time of order). 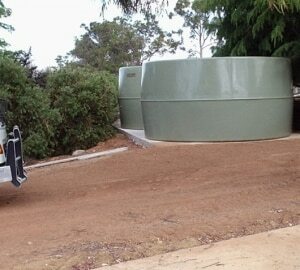 Ground installation requires minimal preparation; the tanks can be situated on any smooth level site. 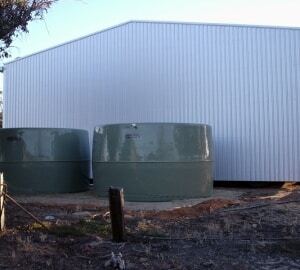 In addition, the tanks are suitable for mounting onto tank stands. 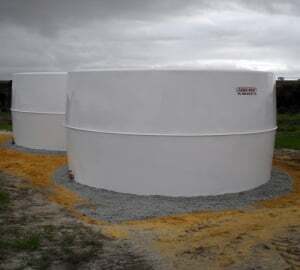 Our tanks will not rust or corrode and post curing means they are ready for immediate use. 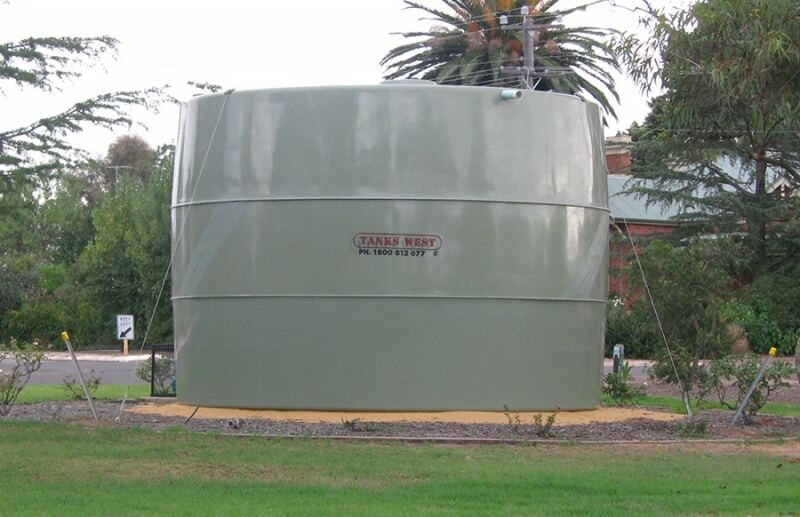 Tanks West water storage tanks are made from moulded halves joined internally at the centre to provide additional hoop strength. Lightweight but strong, they are designed with a combination of strength and long life, back by a 20year manufacturers guarantee. 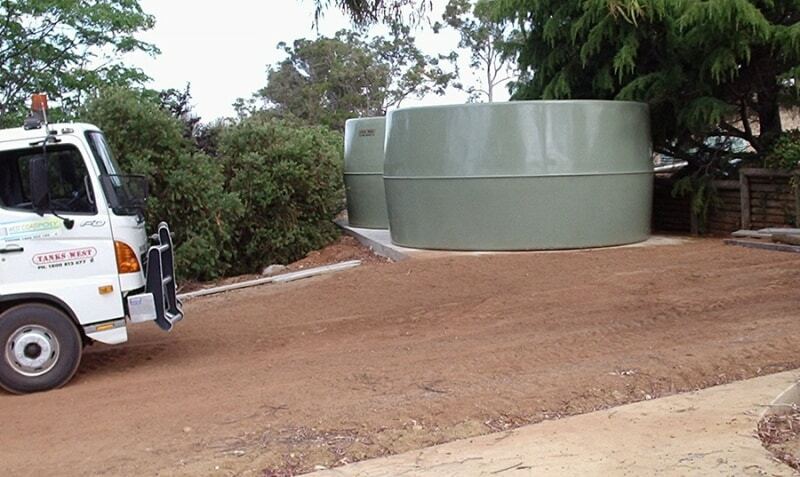 Fibreglass tanks have a good heat resistance and can withstand low-grade grass and brushfires. 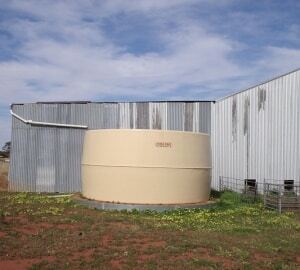 They may however suffer some blackening and blistering of the gelcoat but this is generally aesthetic but may not damage the structure of the tank. 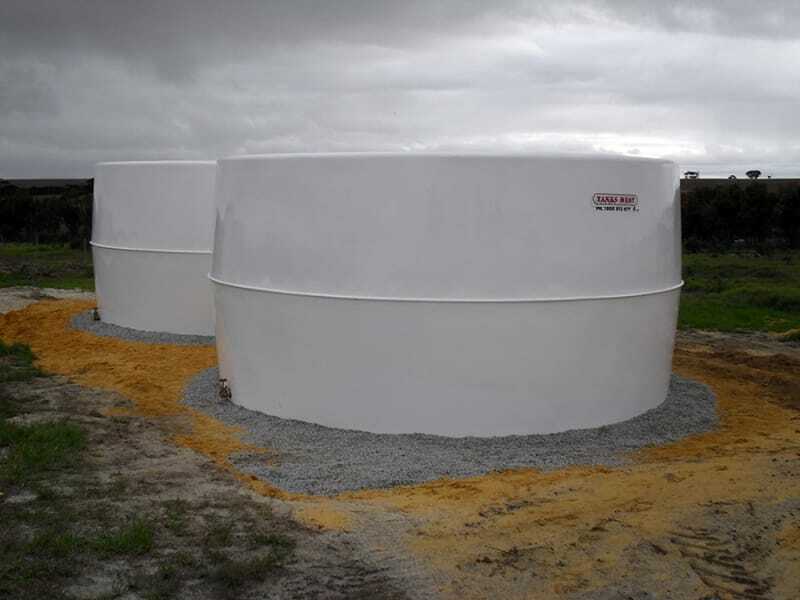 Tanks West water storage tanks are specifically manufactured for hygienically storing drinking water, our uniquely formulated materials give a smooth, taint free and algae resistant surface inside the tank, complying with the Australian Standard AS4020 for potable (drinking) water. 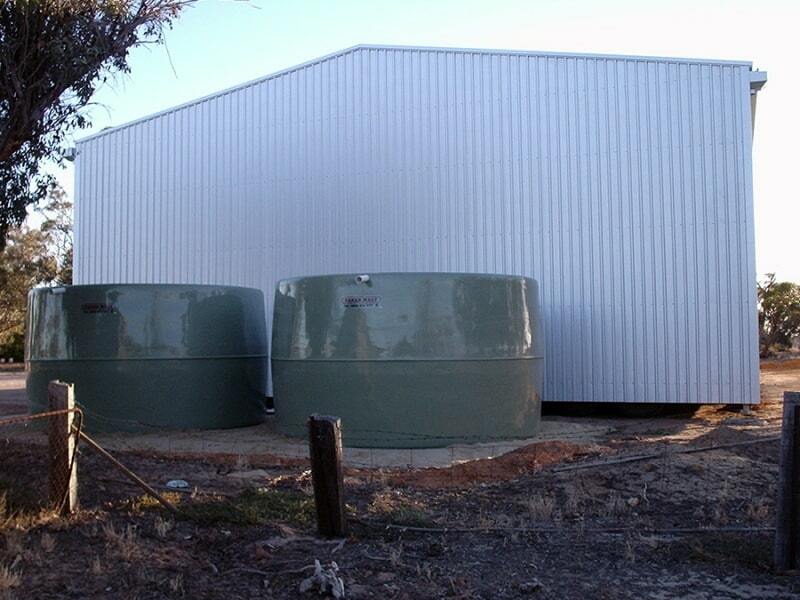 The proven ability of FRP to retain strength and flexibility is enhanced by the UV-resistant external gelcoat. Available in a choice of colours to blend with the environment. Standard colours – Mist Green, Hawaiian Cream & White. Note: Screw Top Lids and additional fittings are available at additional cost and MUST be requested at time of order. In addition to the standard fittings there is a wide range of sizes and types which may suit your particular situation. A sample of the specialised fittings available is listed below but please remember these must be specified at the time of order and while there will likely be an additional charge these can often be installed by the driver on delivery. This water level indicating device allows you to check your water level from a distance. 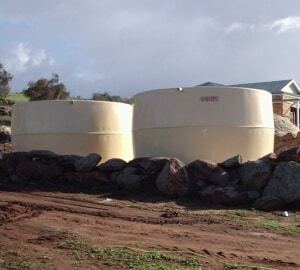 The only water level gauge that shows the actual level of water on the wall of the water tank. Extremely accurate & great for tanks on stands and house tanks. 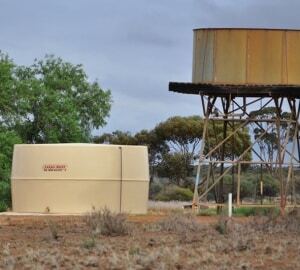 A maintenance free simple fluid level indictor that can be mounted on tank and once mounted not have to go back and re-adjust due to the indicator mount moving in windy conditions. The Hansen Level Alert features the unique UniTri mounting system with easy adjust nut and security lock, HiViz Low wind resistant float and Stainless steel fastenings. 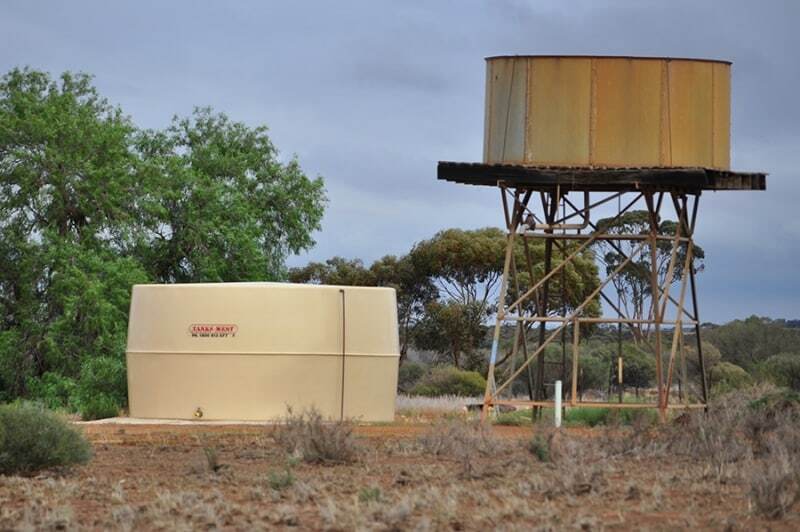 Tanks West can offer expert advice on matching a pump to a tank to suit your requirements whether it be for agricultural, household or commercial purposes. Engine driven pumps suitable for high pressure firefighting & high volume transfer. 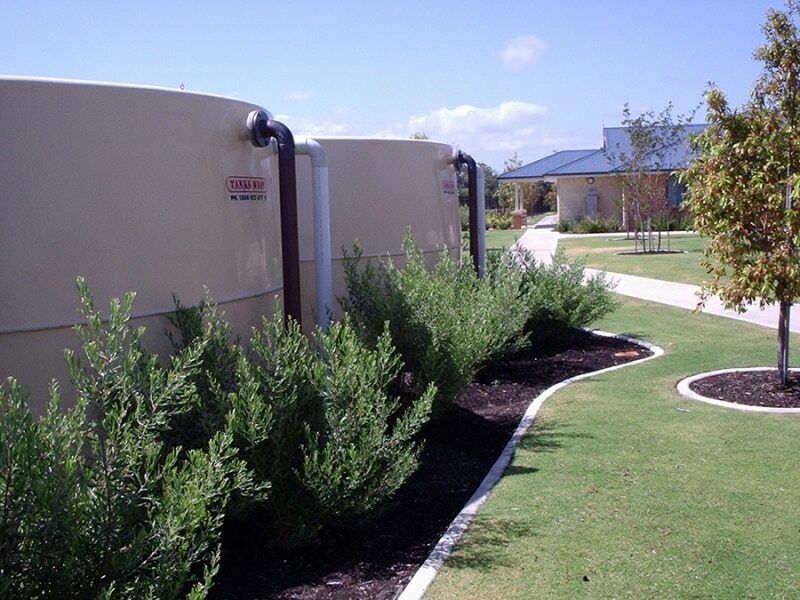 Centrifugal pumps for hose down, tank filling, water transfer. 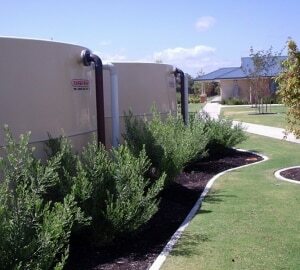 Household pumps and pressure systems. We supply Davey and Onga pumps as well as a range of specialty brands.